Recently my father, who has so far not wanted to have anything to do with computers, decided to change all of this with age 67. While initially surprised (and remembering the comments I got when sitting in front of computers as a teenager instead of working on the family farm), I quite liked the idea. It’s a great to see him still wanting to explore and learn new things. Unfortunately since there is approximately 17.000km between us, there was a limited amount I could do to help him get set up. So my eldest sister (as she always has to do) ended up having to help out instead. Finding hardware was the easy part and very cheap these days (and since it was bought online I could help with the technical aspects). However the machines in that particular shop came as white-boxes without an Operating System (which is a good thing in my book). So rather than forking out another 90 or so Euro for Windows Vista, which I personally dislike with a passion, I suggested her to download Ubuntu and give it a try. If things did not work out you could always get it later. While I personally have a very pragmatic approach to OS selection and no particular ‘religious’ views when it comes to Linux, I do generally choose an Open Source alternative over a Proprietary system all other things being equal. I was a bit worried about people not being familiar with it, but in the case of my father he has never had any experience with computers so did not have any Windows ‘baggage’. 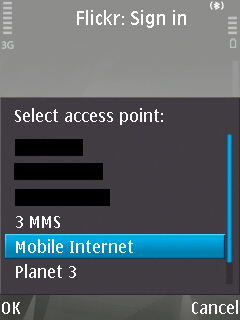 And his usage would mainly be for Internet access, e-mail and maybe some comms (Skype and similar). 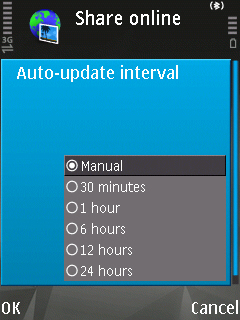 But the ease of setting up the whole system surprised even myself. My sister only had one problem with the whole install. She burned the downloaded ISO file to CD (as .iso) rather than using some burning software to convert the ISO to a CD image. The rest was smooth sailing and did not even involve any intercontinental phone calls to myself. When it came to connecting the machine to the Internet I got a call asking me what she needed to do to access the net. When I replied if she had already tried to open the browser I was told ‘no’. When she opened Firefox everything was already working. The 90 Euros saved on the Operating System will go to a webcam and some peripherals so the grandkids in Australia can hopefully see Opa more often. 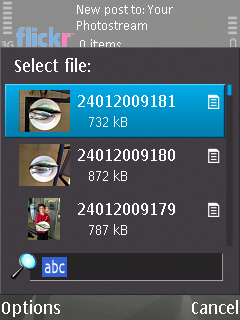 One of the nicest ways to get photos straight from your mobile to Flickr (without having to use e-mails) on Nokia devices is the Flickr Plugin for the Nokia Share Online application. Since a lot of my clients in the educational sector are starting to use Flickr as part of their online teaching I decided to create a short HOWTO. 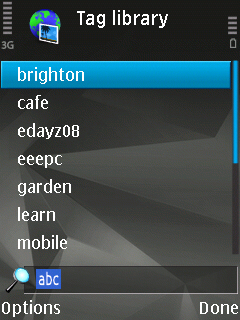 The application itself comes with the phone on most recent Nokia S60 devices (with recent Firmware – check Nokia Software Updater for new firmware). 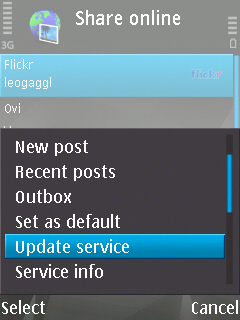 To check if your particular phone is capable you can check the Nokia Share Online Support site. 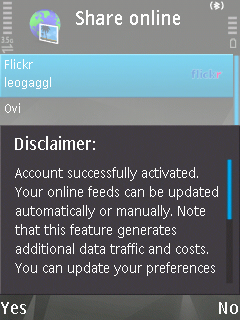 On a new device you will be prompted for your Flickr Username / Password. 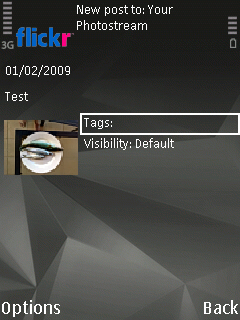 Since I have used the Flickr Plugin on this particular phone previously the Username was already saved (which is a bit of a worry – since deleting the account should have also removed the credentials I would have hoped). NOTE: Be careful with this setting as there could be mobile data fees involved depending on the method you use to connect to the internet on your device. Consult with your network operator on the fees if you are using the wireless data network of your phone provider. Adding the Post Title and Description. You can coose from a list of previously used tags (or create new ones). Your post is now being uploaded and should be available via your Flickr Photostream (mine is on http://www.flickr.com/photos/leogaggl/) soon. The upload time will depend on the size of the image and the speed of your data connection. 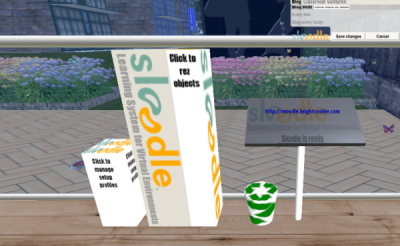 With the help of SL resident Moggs Oceanlane I was able to get our first Sloodle implementation off the ground. Being a bit new on the SL concepts (Moodle as such is my daily life) I found the technical process quite easy, but was struggling with SL terminology a little. Looking forward to getting some hands-on experience of the use of SL in an educational setting. I can see the practical applications – looking for some pilot projects to put them into ‘reality’ once we have got all the technical side tested thoroughly.